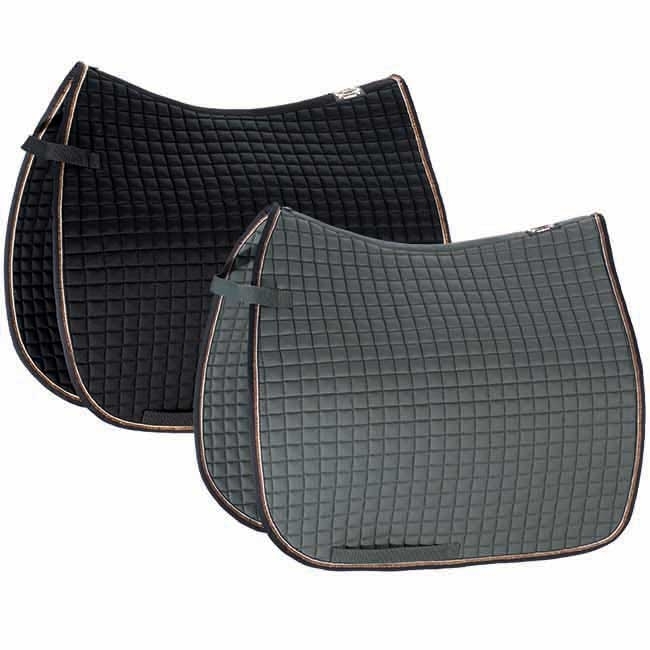 The Eskadron dressage saddle pad in two gorgeous colors will look great in the schooling ring. Add Eskadron lead rope or Eskadron polo wraps (both sold separately) to complete the color-coordinated look including the copper details. The saddle pads are made from 100% breathable cotton and filled with a polyester foam for comfort.